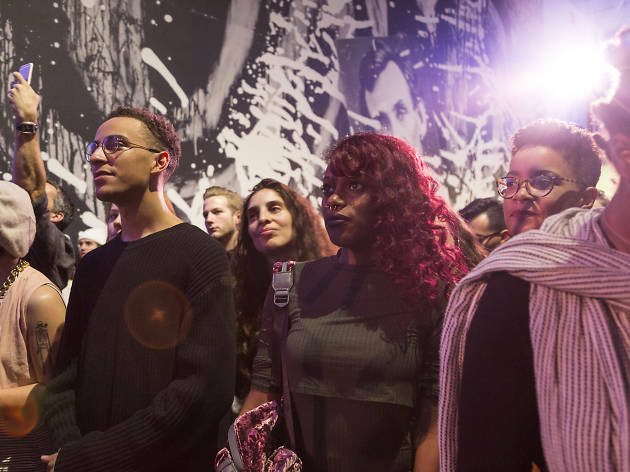 Last night, the Museum of Contemporary Art hosted the latest edition of Prime Time, an after-hours event series that welcomes musicians, artists and interactive programming into the Chicago institution. The latest installation, entitled Ascend, focused exclusively on homegrown talent, presented by online publication Pitchfork and curated by local tastemaker Kristen Kaza of No Small Plans Productions. 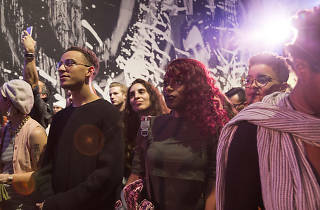 Attendees took in sets from poetic hip-hop artist Noname, soulful singer Jamila Woods, eclectic indie rock duo Homme and house music legend RP Boo. DJ Audio Jack (of Slo 'Mo fame) spun tracks throughout the evening, accompanying the MCA's various exhibitions, a variety of video installations and a floral photo booth. Our photographer Jaclyn Rivas was on the scene to capture the crowd, performers and stunning installations at the latest MCA Prime Time party—check out some of her best shots from the creative celebration.